For students growing up in the late 90s and early 2000s, their childhood was characterized by popular toys, television shows and book series. Harry Potter, The Clique Series, Series of Unfortunate Events, The Giver, The Chronicles of Narnia, Holes, and The Sisterhood of the Travelling Pants were popular books, with many of them being turned into movies. These books are popular among adolescents who read them because they can let their imagination go and relate to the characters in them. “It helps students with their imagination. Helps students develop ideas maybe they wouldn’t have had before,” said professor of adolescent literature Dr. Cindy Ries. Billy Latta, senior art and business administration major, can relate. After seeing Harry Potter and the Sorcerer’s Stone in theaters with his aunt, Latta started reading the series and could not put the books down. “It means a lot to me to go into a world of fantasy and to allow my imagination to go off and be creative,” Latta said. The series not only allowed Latta to be creative, but also started his love of reading. 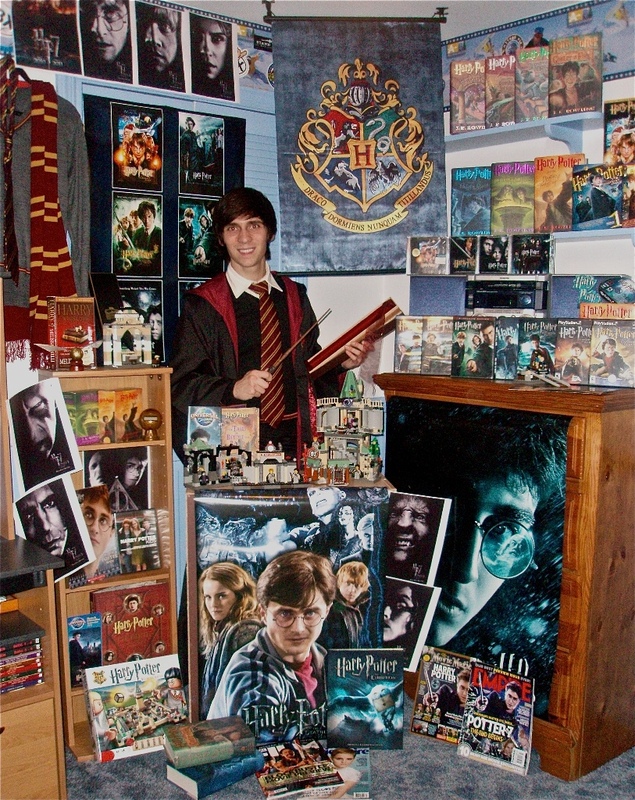 “It [Harry Potter] allowed me to become interested in books in general. Before I read Harry Potter I did not read at all; now I will read anything,” Latta said. Reading also allows students an escape from the everyday life. Mercurio really enjoyed the Harry Potter books, but she also read the Clique series. “I didn’t even like any of the characters. The author wrote it in such a way that made you want their life,” Mercurio said. In the Clique series there is a group of well-off popular girls who tease the unpopular girls. This can resonate with many teens that are in a similar situation. “My favorite part is when the girl, the unpopular girl, got her way and ended up being happier than the popular girls who had everything,” Mercurio said. Ries also said books, such as The Giver, can be used to teach children and adolescents lessons about the world. “It [The Giver] shows kind of what would happen if the government took things too far,” Ries said. As future educators, parents, aunts, uncles, and role models in children’s life, it is important to recognize the power of reading and to pass that love on to the next generation. Josey Petz is a staff writer for The Aviso AVW.